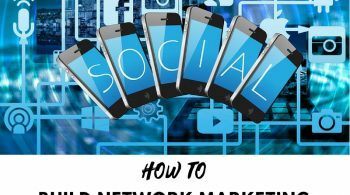 Mastering How to Build a Network Marketing Business Online Can Be Hard – Follow These Network Marketing Success Secrets to get started right to build authentically, without being salesy or bugging friends and family anymore! The challenge: HOW TO build network marketing business online. how to succeed in network marketing fast. The expectations for the journey online. Firstly, expect the unknown. Here I mean, you need to be present and respect the journey. Know you will not learn everything you need in one sitting or one shortcut, it’s a process. So I break this it up into the beginners post “Getting Started” and “Going Professional”. If you haven’t read the “Getting Started” post, go back and start there. Then when you master that, you are ready to take it to the professional level here. Another key to note is when you go online, you’re learning a whole new skill set. Almost a new profession! and there is a learning curve. You’ve been learning “how to build” Network Marketing business online right? Well, think of this like learning a new profession on top of that. So when you learn a new profession, what do you usually do? You go to school or higher education for four years right?. Thank goodness, we’re not going to have you do that, and we want to do it much quicker than four years. However, if there was a school of building a business online, it would probably take a few months part-time to get through all the coursework, so be prepared for a learning curve. Let me do some more important recaps here please. Don’t try to learn everything at once. Just focus on what’s in front of you. Master that, implement, be consistent, and then move on. yada yada, this is Hype and BS. You see, everyone in MLM wants to build a network marketing business online. It sounds easy and attractive right? But “HOW to build” Network Marketing Business online is NOT EASY, this requires committed, focused work. Figuring out how to build my Network Marketing Business online has been one of the trickiest things I’ve ever done in my life. There is a GREAT learning curve to building your Network Marketing business online. It is NOT fast, easy or free, despite what anyone else tells you. Also, if you think there is a push button system, you are kidding yourself. The only people who make money with “push button systems” are those who create those systems and who joyfully take your money, typically monthly subscriptions, making them rich and you poorer. So recapping on mindset, I covered this in the beginners post “Getting Started” including why are you going to the internet? You still need to learn how to talk to people to build your network marketing business online. Look, when people join my team, I get them started on attraction marketing on Social Media. Get you turning your networking business into a HOME business (i.e. build while at home) by using the power of the internet. From all I’ve learned and applied to my own success, I’ve summarised and distilled into this easy to follow and implement Blueprint Facebook Magic Formula – check this out to learn more. 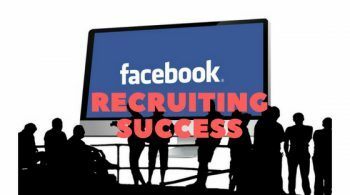 After you attract people and pre-qualify them, you will speak with them off of Facebook on the phone or a call. The process for all of this in included in the Blueprint. So I wouldn’t introduce people to online marketing for their network marketing business until they can build relationships with a few new customers and earn some consistent income. Why? A key skill to online marketing is knowing how to talk to people. Hiding behind your computer is not really an option for Network Marketing. You still have to build relationships. So that is the first skill we need to work on. Sure it’s great when people say things like, “use attraction marketing, people will come to you”. Definitely it’s the path to success….but what will you say to those people when they come to you? How will you build a relationship with them? That is precisely why getting skilled at talking to people a key initial step to building your network marketing business online. There will FOREVER be a human element to this business. It is a people business. You cannot replace that with the internet. Yes, network marketing is really designed to be a warm market business. Not many people can build online, it is not easily duplicatable and you need solid coaching and a blueprint to follow. These reasons are why most successful network marketers don’t encourage it or teach it. The exciting potential going professional online is your ability to leverage the internet to meet an unlimited number of people globally. You can leverage your time and work smarter. The real beauty is having people contact you first. However, it can also be very distracting. It’s not for everyone. Again “Getting Started” on social media is the place to kick-off online, it requires less time but has less leverage than what you are about to read. If everyone is a prospect, NO ONE is a prospect. Another realization is that thinking these ways is a recipe for wasting a lot of time on people who will NEVER buy what you’re trying to sell to them. All businesses have a TARGET MARKET. Network marketing is no different. Please don’t be like the 90% of home business owners that make the deadly mistake of throwing their pitch at the wall to see what sticks (i.e. spam), instead of investing time honing in on their target market. When it comes to connecting with your prospects, there’s nothing more important than knowing exactly WHAT words to say and WHO to say them to. Which market should you choose? I recommend you pick ONE target market that you have something in common with. This makes it easier for you. Pick a market you understand – their pains and struggles, their desires or desired outcomes and the language/words that they use. Personally, my target markets are network marketers, cubicle slaves and runners/athletes. Why? Because I was/am all of these three things myself. So I can relate to them. I know how they think. We have common ground and this gives us an instant connection when we communicate. Choose your ONE target market wisely. You can always change it later on, but start with one you have experience with. So as an example, if you are a school teacher, focus on providing value to other teachers, then you have the best chance of recruiting them. Here think about what value you can offer or your unique selling proposition (USP) to your target market. This lets people know WHY they should do business with you. It’s what makes you different from your competitors, by the value you offer them. For example, I am “Helping you to generate leads and build your network marketing business online…the right way”. By right way, I mean I don’t use expensive monthly systems, do not use hype, and am about providing VALUE. That may not appeal to every prospect, but it does to my ideal prospect. Remember, you can’t be all things to all people. Instead, you want to attract your certain type of prospect. If you don’t know WHY someone will join YOU over someone else in your company, it’s very unlikely anyone WILL join your team. Think of it like Creating YOU, Inc.
YOU, Inc., is where YOU become the brand, not your MLM product. The truth of it is, no one really cares about your MLM product. Remember people are not looking for ‘opportunities’, they are looking for solutions for their problems. Also, what they really care about, is joining someone that they know, like, and trust, and someone who has the ‘right skills’ to help them achieve success. In summary, you want to create a personal brand that engages prospects, excites followers and magnetizes your audience. These are basic marketing principles that very few network marketers understand. 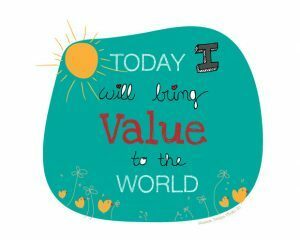 Put some thought into your value offering or USP. Get it right the first time. Once you do that you can move to the next phase. PHASE #3: Choose your platform to create YOU, Inc.
Again, people buy from people. They are not going to buy from someone who is spamming Facebook groups desperately, saying stuff like: “Make $1,000 a week with no investment!”. So how do you get people to trust you? My first choice is you create a self-hosted WordPress blog using your name. You want to use your real name, like my blog. Naming your blog after your name creates so many possibilities. You have the freedom to talk about anything you want. Think about it, If your naming included something after your MLM company, what would happen if that company went out of business? Becoming YOU, Inc. means branding yourself as the ‘go to’ person if you want to attract prospects looking for your target market – e.g. those looking for a home-based business. Your blog is the vehicle you use for your content, your hub of operations. It’s an asset that you own, it’s the place where people can always find you and how to contact you. You have more control over your visitors actions – compared to all the distractions to them when they see you on social media. So as far as I am concerned, a blog is not optional, it’s a must to going professional. How to succeed in network marketing fast? Build brand YOU. Other choices are a YouTube channel, a Facebook group or fan page, podcasting, or you could use a simple capture page. You can also use a combination of these things. But start with one, you can always expand later on. Creating value online means writing articles or creating videos about “how to’s” which help people “learn” how to do something, rather than selling your company or products. What you’re looking to do, through your content, is to educate, entertain or empower people. Looking to enhance the lives of other people, through the value in what you share. When you provide valuable or useful information (without ‘selling’ your business) your readers and viewers will know and trust you. They might have to see you a few times, but then they will start looking at you as the authority in network marketing, and when they are ready to start a home-based business, they will join you. You’ve probably heard it before, “build your list” or “the money is in the list”. This is an asset that you own. Once you have a list, an autoresponder is how you send out emails at designated intervals to your subscribers to continue to offer value and also make offers. So it is nothing more than a software program that lets you collect and manage your email leads. You have spent a lot of time, energy or money growing your business. Either organically or using paid traffic. The reality is that a lot of the visitors to your site are going to take a quick look and leave for whatever reason. There is still the possibility of turning them into a customer or recruit if you get them on an email list. It is often said that you need to make contact with a subscriber at least 5 to 7 times before they will buy from you. Done correctly the autoresponder does this for you automatically. See your autoresponder allows you to keep in touch with your email leads 24/7. It automates your follow-up process so you don’t have to do it all yourself. My autoresponder is one of my most valuable business tools. You can coordinate your autoresponder with your blog, your YouTube or even create capture pages and connect them to your autoresponder. When you get your autoresponder, you need to set up your email campaigns and lists. You can have more than one list! As a start you might have one list for your products and another for your business. So once you have your hub/platform and autoresponder set up, your main income producing activity is providing the value that generates traffic. So generating traffic is where you should spend 90%+ of your time or money. You want a surge of continual high quality, targeted traffic visiting your website or lead capture page every day. I suggest you start with ONE free marketing method. FOCUS and do nothing else for a few months. I suggest you can add ONE paid marketing method once you have mastered your free marketing method. The key here is focus and consistency. You need this to master traffic. If you try to do too many things at once you will only reduce the results from your efforts. FOCUS. You can try other things once you have mastered those two strategies. I should add here that there is no such thing as FREE traffic. Even if the traffic doesn’t cost you money to generate, it costs you time. Remember time is money. You should also study direct response marketing. Study guys like Mike Dillard or take courses. Read books and online about whatever traffic methods you choose. Take massive action, never stop learning and learn from your mistakes and persist. The main thing in common with top internet marketers, is their ability to send a continual amount of qualified traffic to their offer. 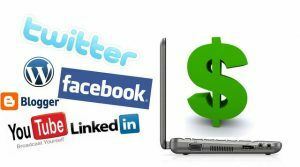 Traffic is the key to generate leads for network marketing business and making money online from your suite of offers. Most people who opt-in to your list won’t buy from you right away. 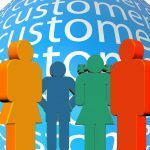 It is often said that you need to make contact with a subscriber at least 5 to 7 times before they will purchase products from you or join your primary network marketing company. This could take several months or even years, it all depends on how much value you provide in your email follow up that often links to your content as per phase #4. Remember people only buy from people they know, like and trust. It takes time to build that relationship and trust. It also comes down to timing. Timing of when they are looking for solutions to problems that they have and whether your value offering meets their need. So not all of your leads are in the market for what you are offering today. In order for your subscribers to see your valuable content, you need to follow up. I suggest you send 2-3 emails per week to your list. Your goal is to educate, inspire or entertain your reader to show them that you offer something of value that provides a solution to their problem. Don’t make the mistake of always selling your business in each email. 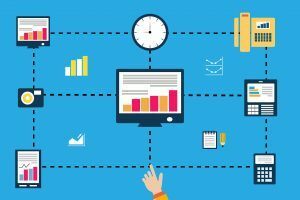 Focus on educating your prospects by sharing valuable articles, lessons and useful videos that will help them solve their problems. You provide value here and establish yourself as an authority and leader. You build credibility and the “know, like and trust” factor so you can sell by teaching. From time to time you can recommend different products and courses but don’t barrage your prospects with sales messages. As you build credibility and the “know, like and trust” factor – this is just what you want. Once you have this credibility, it’s much easier to make sales. Never forget that people buy from people they know, like and trust. Don’t you also? Having multiple streams of income coming from various locations is a very smart strategy. 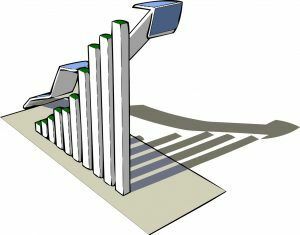 Think of Donald Trump – he has many income streams and this is impressive because if one area falters, he is still fine. Robert Kiyosaki and income producing assets – once I learned his philosophy, it made so much sense to me. Robert Allen does a great job selling this concept in his book titled “Multiple Streams of Income”. do you really OWN your network marketing business? what if a whole team of your people leave or quit? You see, even if you’re skillful at closing people, more people will tell you NO than will tell you YES. When you have multiple services and products to promote, you can still make money from people who tell you NO to your network marketing opportunity. When you talk to people (in person, by phone, or by email) you want to be the person who can provide a solution to help people solve their problems. Think about it, if you only have a network marketing company, and nothing else, people say NO very often and it can be hard to be doing JUST that. Someone might contact you who is completely happy with their current network marketing company, but they want advice on how to generate leads online, how to blog, or something else. By having other affiliate products to promote and your own products, you can help them solve their challenges and earn a growing income doing so. Plus when the timing is right, they may turn to you and your primary business opportunity. So when people contact me now, I am a consultant. I aim to help them solve their problem by finding out what it is. I have many valuable offerings and I simply offer them whatever is the best solution to their situation. This is your ultimate goal right? So why have I got it here as the last step or phase? Building your primary network marketing company will happen naturally as a result of doing everything else I mentioned above. You are establishing yourself as an authority and leader by the value you provide. If you implement these steps, you’ll create a valuable asset: expanding your funnel, a true residual lead strategy, to build your network marketing business online. As you add people to your email list and build a relationship with them, many of them will join your team, sooner or later. They’ll see the value you provide and learn that you would be a good sponsor for them. What’s great about using an autoresponder is that you weed out a lot of the time waster and indecisive types. You don’t even have to call prospects. You provide value, wait and people will call you. It’s like a dream come true. Qualified prospects wanting to join you and your team so you become the hunted, not the hunter. If you follow and implement these steps, this will build you up as a mini-celebrity. Conversation is so much different, compared with cold market, people feel privileged to talk with you! As time goes by, you should have built a large team of distributors that provides a great residual income for you. This is the ultimate goal here. However, your services, coaching and affiliate sales give you TODAY money to live off while building your leads/credibility and you also build up your residual income. To me, that really is smart business! 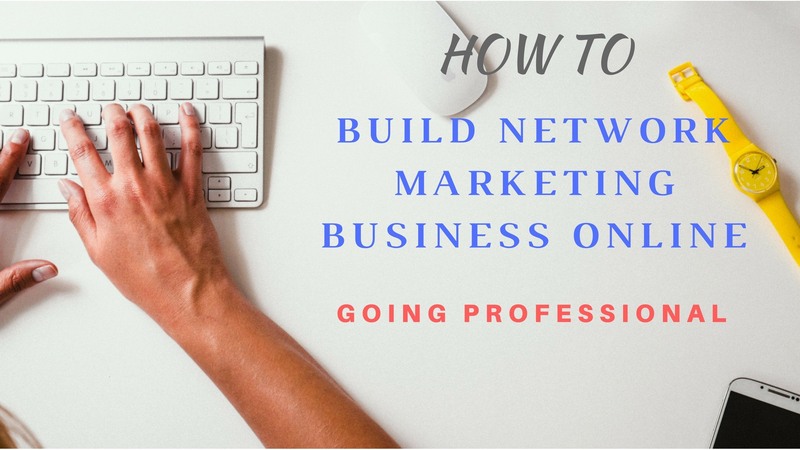 Many just look for network marketing tips and tricks but going professional, implementing these steps, is how to succeed in network marketing fast. Even if you are a master of doing things online, you should still do some offline things too. When you meet people in day-to-day life you’ll have so much more confidence in your overall system and can share your business opportunity and products with them and help them get started. Offline skills are important to know because not everyone you sponsor will want to build their business online. You’ll need some simple strategies for them too. This really is the process to building a large and profitable network marketing business and your own business online, as I see it. If you implement and apply these steps with focus and consistency, you’re building your Conversions and Sales (in Steps 8 and 9). Think of the Last Purchase You Made Online. Was there a Perceived Relationship in place? It’s what many top earners do. It’s what I do too. Sure it will take time to implement all of this. So make sure you’re still talking to people offline and your building network marketing business online using attraction marketing on Social Media. See my beginners post “Getting Started” and I suggest you keep implementing this throughout your journey of going professional. What are your thoughts? What do you think about my steps and tips for HOW TO build network marketing business online? What strategies have you used to build your network marketing business online? What are your top tips? Please leave a comment to share your thoughts. I look forward to hearing from you. If you need someone to help you set everything up (like I discussed in this post) and work with you personally, I can help. All you need to do is contact me and we can agree on what you need me to do and how much your investment will be for me to help you. Disclaimer: Even if you follow this process, no one can guarantee your success. Individual results will vary. In addition, it might take you a few years of applying this process and finessing what you do to finally master it. 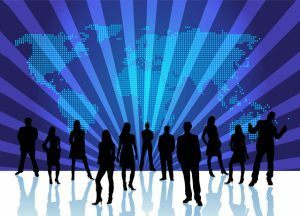 8 replies to "HOW TO Build Network Marketing Business Online – Going Professional"
Well written article. This is the most comprehensive and helpful article I read today. I appreciate you putting this article together. The 9 phases are very helpful. I agree with everything you said. Value is everything online. No value simply means no customer, no customer means no business. It’s very important to create value that offers a solution to a problem in your targeted market in order to build trust. 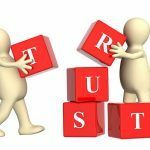 Once you earn their trust, you can then continue to offer them additional value, and then the selling part. Autoresponder is very important as you’ve mentioned in your article. Most people don’t buy right away, but after several contacts, you increase the chance that they might buy something from you. I love what you said about traffic strategy. Always focus on one Free strategy, stay focused, and get good at it before moving to the next free strategy. Like you said that there isn’t really free strategy. Because it’s either you pay with your money or you pay with your time. And time is money. Well said. Thank you for sharing. Keep up with the good work. Looking forward to your next article. I’m glad that you saw the value in the article Hong. I appreciate your comments and insights. Wishing you success also. This really is a step-by-step process that requires FOCUS and CONSISTENCY like you said. I especially like the idea of having multiple streams of income. And also recurring income. Building a system based on these two types of revenue is – in my opinion – the path to true financial independence. I am really impressed with all the information you provided in your post on building an MLM business, so many of my friends has joined these type of companies and never made a cent. How can you help people like my friends earn an income through an MLM business, what is even more important is how does one choose a legitimate MLM business and not get scammed? In terms of building an MLM business, it really depends on what you put into it. It is like a gym membership, you only benefit if you go to the gym consistently, day-in-day out keep training. Much like building your MLM business, consistent, professional efforts yield results. Also partnering with someone like me, who has good experience and is with a publicly traded, international and solid MLM company with products that are regularly consumed and best in their niche, increases your chances of success.